Planning a foray into the Kingdom of Swaziland from Mozambique may be daunting, but this guided 2-day tour arranges all the details ahead of time. With a guide to provide transportation, directions, and in-depth commentary, you'll get the most out of your visit to Swaziland. 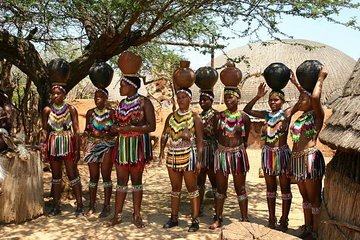 Highlights include a stop at a cultural village to see a typical Swazi homestead, a visit to Mlilwane Wildlife Sanctuary, and a guided game drive in Hlane National Park. For a full refund, cancel at least 24 hours in advance of the start date of the experience.